APU Malawi Education Foundation would like to welcome Michele Parkin to our Board of Directors, joining us in early 2018. Michele has served as a senior leader in post-secondary education for 14 years, and is presently the Associate Vice-President, Faculty Relations and Academic Administration at University of Victoria. She is trained as a lawyer and has a Masters degree in Business Administration. 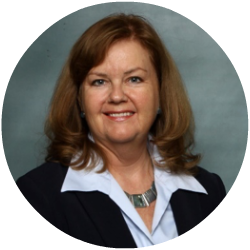 She has served on many non-profit boards as director, and has provided governance and strategic planning support to others. In 2016 Michele volunteered as a consultant to the tea industry in Malawi and saw first hand the need to educate its women and provide them with meaningful employment, as a means to ensuring the wellbeing of the country’s families and its economy. Michele has been a proud Rotarian since 2009, and has worked to support education related initiatives in several developing countries. This entry was posted in Foundation News, News. Bookmark the permalink.